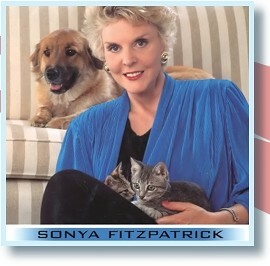 Increasingly known for her unique ability to communicate with animals telepathically, Sonya Fitzpatrick not only talks to animals like dogs and cats, but also snakes, llamas, ducks, camels as well as horses and birds. Through the top rated American TV show, The Pet Psychic, Soyna is now able to reach out to help millions of pet lovers to communicate with and to improve the lives of their pets. Many people have started to realize that animals have emotions and feelings too, when they witness how she, for example, saves the life of a horse who has stopped eating or helps a pet owner to understand her dog’s agitation. Not only that, but the fact that animals always welcome Soyna and behave extremely well in her presence amazes everyone and has convinced many so-called skeptics. 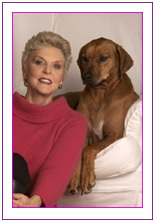 Born and raised in England, Sonya’s deep love for animals started with her pet terrier, Judy. They became so close that as Judy grew older Soyna could actually feel in her own body the aches and pains that her dog was experiencing. Then, when her father killed her nine-month-old geese friends for Christmas dinner, she suddenly realized that not everyone has the same feelings for animals that she has. Traumatized by the death of her friends, Sonya deliberately shut down her ability to communicate telepathically with animals for 44 years. In 1994, a spiritual experience reopened her channels with animals. Believing it’s her destiny to play this role, she started helping people to understand more about their pets, in order to solve animal’ behavioral problems, their physical ailments, and also to help to reunite lost pets with their owners. By communicating with animals on the spiritual level, Soyna helps to provide proof for the existence of the spiritual worlds and reincarnation. Just like Master has remarked on many occasions, Sonya reveals that animals are very intelligent and they understand by picture ideas. Like human beings, animals are also spiritual beings. It’s only the physical body that dies in any being because the consciousness goes on. In her book, “What the Animals Tell Me,” Soyna Fitzpatrick shares her message with the world that animals are very intelligent and they know exactly what’s happening around them, therefore people should love and respect them. 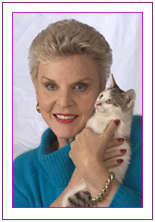 Today, as an animal activist, she is also actively involved in rescuing and assisting lost, abandoned and sick animals.